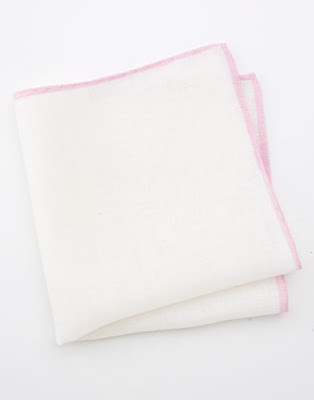 Simonnot Godard linen pocket square. 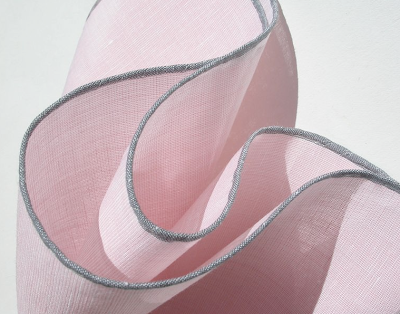 Alexander Olch linen "pocket round." J. 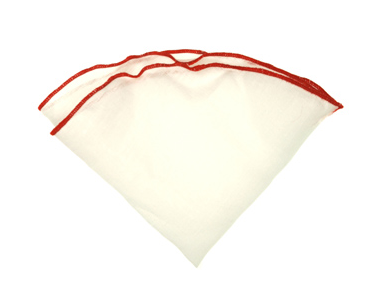 Press linen pocket square. J. 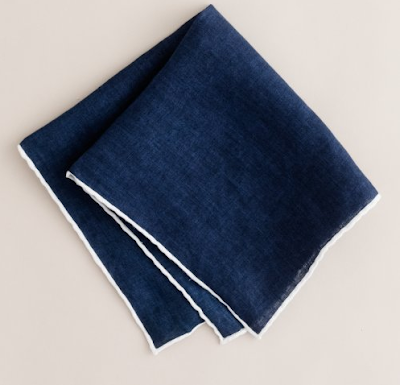 Crew linen pocket square. Love the rich blue of the J. Crew square. Still, it is almost impossible to beat a clean pure white. Wear the blue square with your white suit to your friend's Miami wedding.